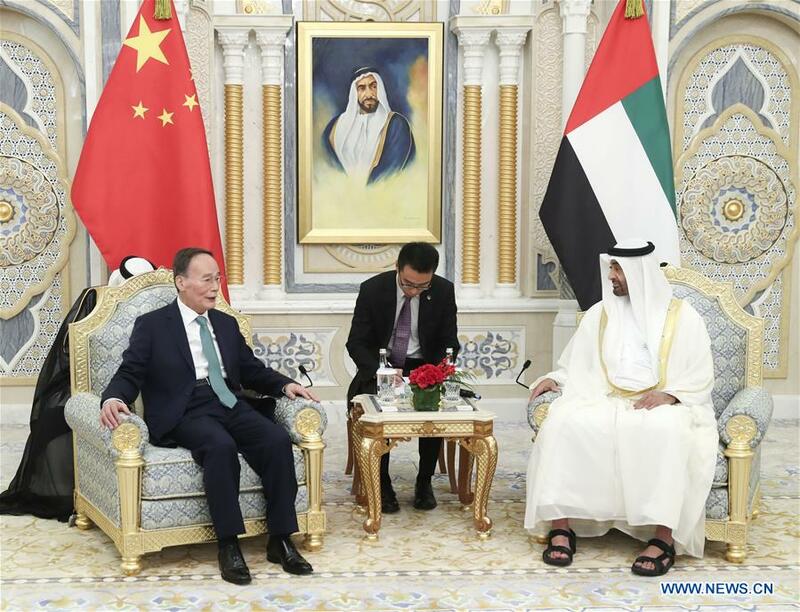 Chinese Vice President Wang Qishan agreed with leaders of the United Arab Emirates (UAE) to further boost cooperation between the two countries during a three-day visit that concluded on Tuesday. Wang, who had been invited by the UAE government, met with Crown Prince of Abu Dhabi Sheikh Mohamed bin Zayed Al Nahyan in Abu Dhabi, and UAE Vice President, Prime Minister and Dubai Ruler Sheikh Mohamed Bin Rashid Al Maktoum in Dubai, respectively. The Crown Prince of Abu Dhabi received Wang with a welcome ceremony at the presidential palace. In the meeting with the Crown Prince of Abu Dhabi, Wang said that the decision by Chinese President Xi Jinping and the UAE leaders to promote the bilateral relations to a comprehensive strategic partnership has laid the foundation and will serve as a blueprint for the relations. Wang said the UAE has followed a unique path of development by pursuing economic diversity, social openness and cultural inclusiveness and integrating the traditional and the modern. 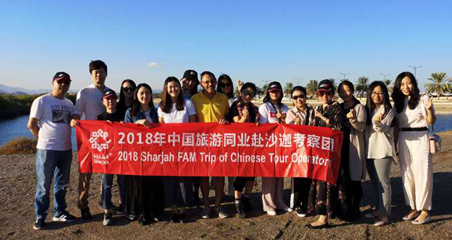 China appreciates the UAE's pursuit of friendly ties with China and is willing to work with the UAE to constantly expand the pragmatic cooperation and cultural and people-to-people exchanges, Wang said. China is willing to work closely with the UAE side on its planned introduction of Chinese courses in 200 schools so that the aim can be achieved as soon as possible, the Chinese vice president said. The Chinese side is willing to strengthen coordination with the UAE side so that the free trade talks between China and the Gulf Cooperation Council (GCC) may soon resume and produce an agreement, Wang said. The UAE has China's steadfast support in its pursuit of stability in the country and a constructive role in regional affairs, Wang said. China strongly believes that, with joint efforts, the exchanges and cooperation between China and the UAE will expand and the bilateral comprehensive strategic partnership will further grow, Wang said. The Crown Prince of Abu Dhabi said the recent state visit by President Xi has raised bilateral cooperation to a new level and sent a positive signal. He said that China has had admirable achievements in development and the UAE believes in and looks forward to an increasingly important role for China in international and Middle East affairs. The UAE regards its relations with China as a key part of its international policies and would like to work together with the Chinese side to explore the potential and further boost the cooperation and exchanges, he said. During his meeting with the UAE Vice President, Prime Minister and Dubai Ruler Sheikh Mohamed Bin Rashid Al Maktoum, Wang said that the UAE has a strong leadership, a prosperous economy and a harmonious and stable society. The achievements of the UAE in development have been remarkable, he said. 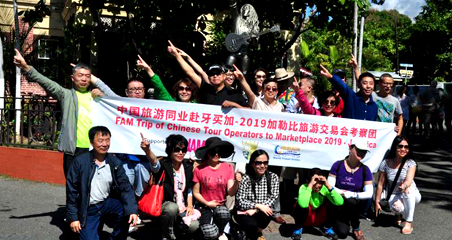 In particular, Dubai has been pursuing sustainable development and has been successful in its transformation, and the young and vibrant city is now a new icon of the UAE, Wang said. Wang said his visit is aimed at maintaining the momentum in the high-level visits and exchanges and promote bilateral cooperation. Specifically, it is aimed at promoting concrete cooperation in various fields in line with the key consensus achieved by the leaders of the two countries and at consolidating the comprehensive strategic partnership. He said China is willing to support the UAE in hosting the Expo 2020 Dubai and share its experience in organizing such an event. China and the UAE have had great achievements in cooperation within the framework of the Belt and Road Initiative and the two sides should further promote their cooperation in finance, innovation and artificial intelligence, Wang said. The two sides should also work together to speed up the seawater rice project to benefit the two peoples and even the world, Wang said. The UAE leader and Dubai ruler said the UAE attaches great importance to its relations with China and cherishes the bilateral comprehensive strategic partnership. The UAE thanks China for its long-term support, he said. China is now the top trading partner of the UAE and the achievements in cooperation between the two sides have been remarkable, he said. He said the UAE side is willing to work together with the Chinese side to further promote cooperation in line with the leaders' consensus. The UAE government leader thanked China for the support it has given to the UAE for the Expo 2020 Dubai. China is warmly welcome to participate in the Expo and use the opportunity to further boost bilateral friendship and cooperation, he said. 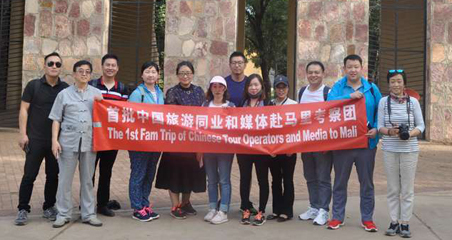 Wang was on a visit to the Middle East from Oct. 22 to 30, which took him to Israel, Palestine, Egypt and the UAE.